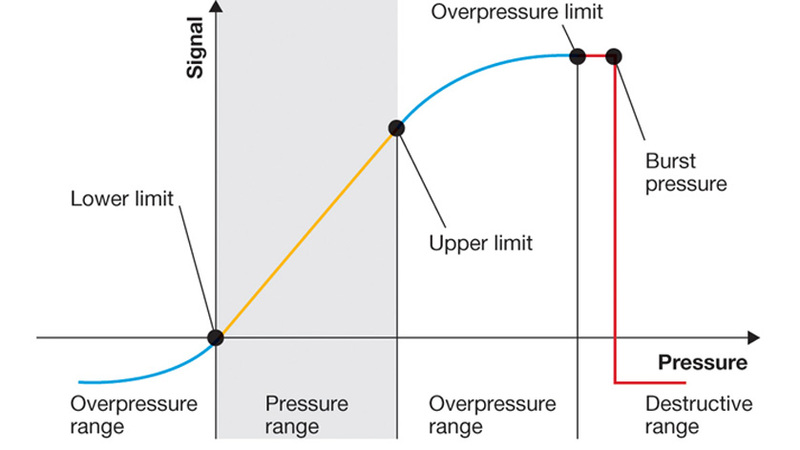 The overpressure safety and the burst pressure are indicated in all WIKA data sheets for pressure sensors. Please find additional information in the trade article “Introduction to pressure measurement“. Source: Eugen Gaßmann and Anna Gries: Electronic Pressure Measurement – Basics, applications and instrument selection; Süddeutscher Verlag onpact GmbH; Munich 2009 (Volume 323 of the series “Die Bibliothek der Technik” (library of technology).